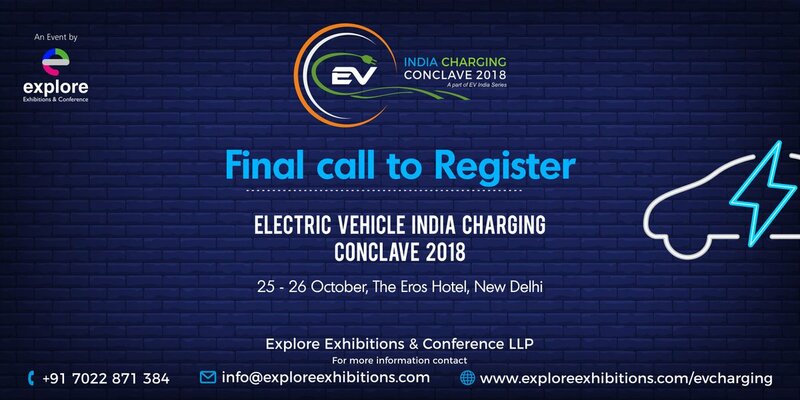 Last Chance to #Register for #EV India #Charging Conclave 2018, 25 – 26 #October 2018, #Eros Hotel, New #Delhi, India. We are closing our registrations by 20 October 2018. Hurry! !